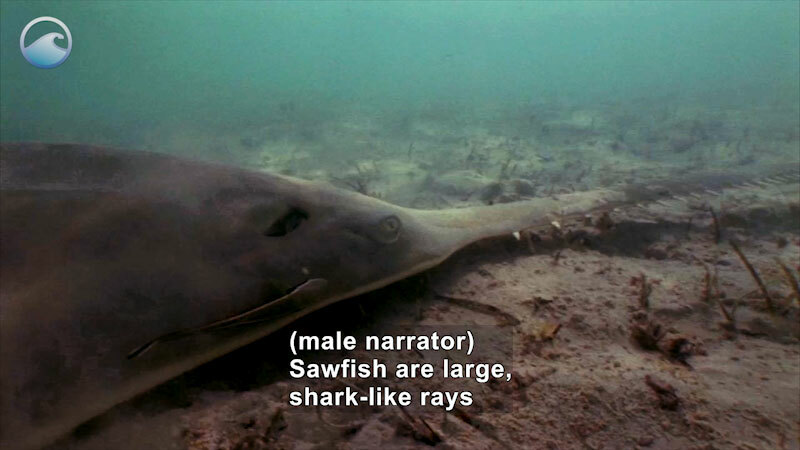 (male narrator) Sawfish are large, shark-like rays that are found in tropical and subtropical seas, rivers, and creeks, and can grow to 15 feet. The smalltooth sawfish gets its name from its long, saw-like nose, called a rostrum, which is lined modified scales that look like teeth-- 22 to 29 on each side. 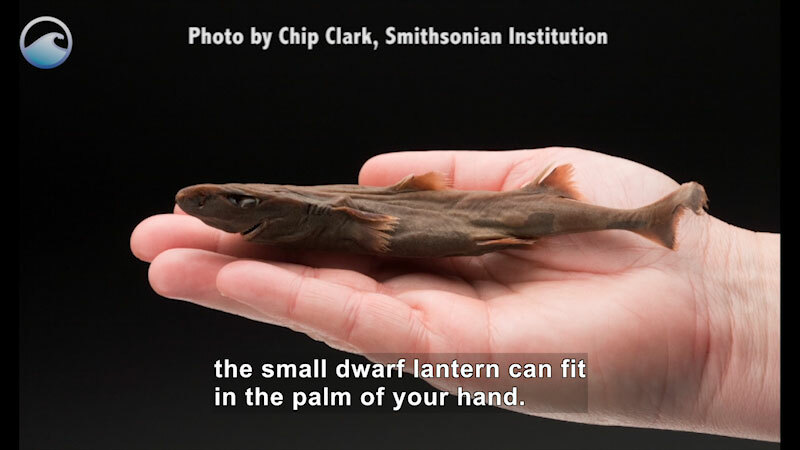 It uses its saw, packed with electrosensitive organs and teeth, to locate, stun, and kill prey. 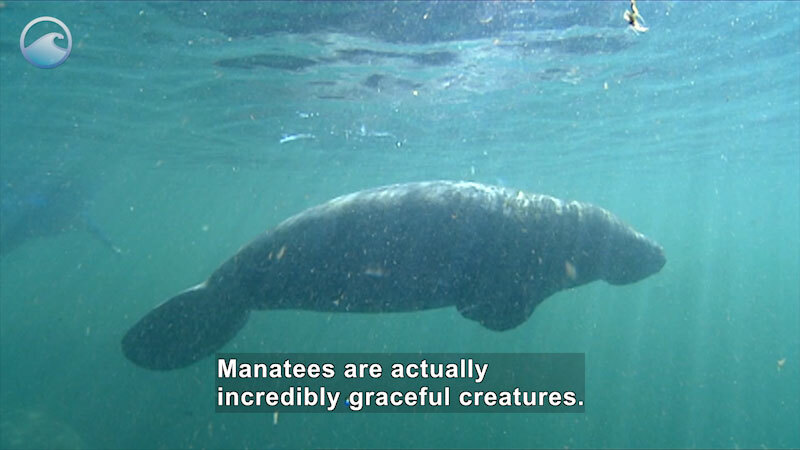 And although its been around for over 50 million years, it is now endangered. Two major threats exist for the smalltooth sawfish-- bycatch in various fisheries and loss of juvenile habitat. Its toothed rostrum can easily become entangled in fishing lines and nets. Young sawfish use shallow habitats that are lined with mangrove forests as important nursery areas. 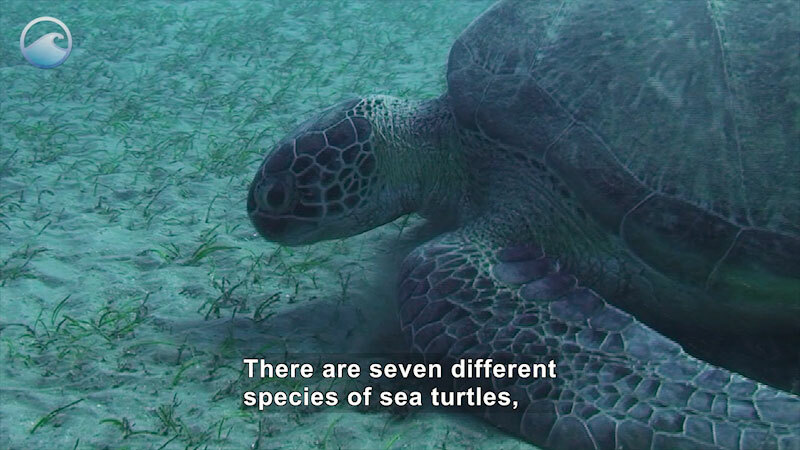 Many such habitats have been displaced by concrete sea walls, or lost entirely due to development of the waterfront. The smalltooth sawfish was listed as endangered in 2003. 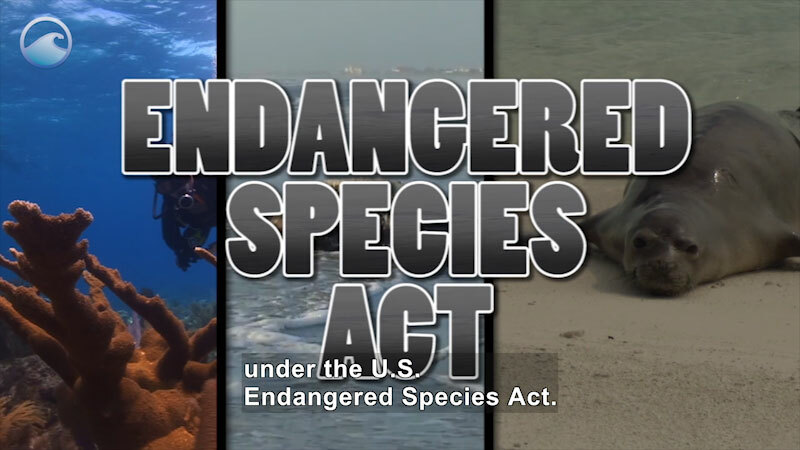 NOAA's National Marine Fisheries Service has worked to develop and implement a recovery plan for the species. 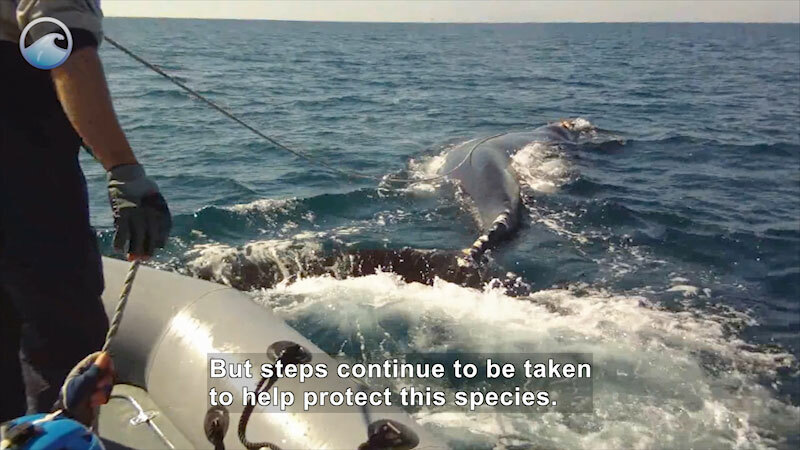 The major steps for recovery include reducing bycatch in fisheries, protecting important habitats, and educating the public. Guidelines were also developed for fishermen to safely handle and release any sawfish they might catch. Today, NOAA Fisheries continues to study sawfish. Through this research, they hope to help develop the next steps in conservation and management that will save this endangered species. You can help bring the sawfish back from the brink of extinction by protecting shoreline habitats and reporting sawfish sightings and encounters to the International Sawfish Encounter Database. Accessibility provided by the U.S. Department of Education. Smalltooth sawfish have been around for over 50 million years, but today they are threatened. Its toothed rostrum can easily become entangled in fishing lines, but anglers are learning how to handle them for a safe release. Part of the "Endangered Ocean" series.